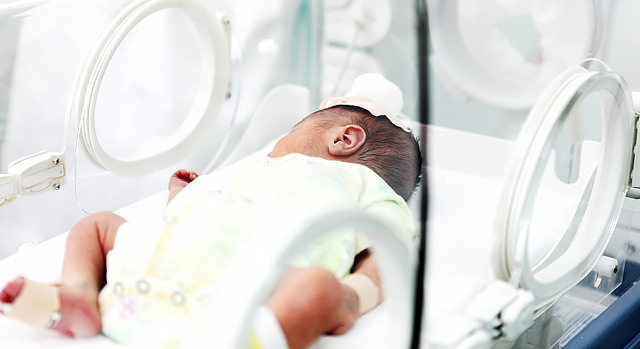 Although most parents are able to bring their newborns home within a day or two after birth, some infants may be born prematurely or may have needs and conditions that require additional, specialized medical care. A few steps from the labor and delivery rooms, intensive care services are available if your baby needs special attention. The Manatee Memorial Hospital's Neonatal Intensive Care Unit (NICU) is Manatee County’s only Level II NICU and has the advanced technology to care for tiny and special care babies. Neonatologists and neonatal professionals, including nurses, physical therapists, respiratory therapists, occupational therapists and breastfeeding specialists are here to provide the care your baby needs. The NICU at Manatee Memorial is a special place in the hospital for newborn babies who need extra care because they were born prematurely, have difficulty breathing, or have unusual medical conditions during their first days of life. If your baby has to stay in the NICU, the length of his or her stay will depend on the severity of illness, weight, gestational age and the readiness of you and your family to provide care at home. Family members can get training to help them prepare to take their baby home. The NICU is a quiet space equipped with advanced medical technology and a caring, specially trained staff. The unit’s design allows the staff to keep a constant, watchful eye on babies in the NICU. Being in the NICU can be a complex experience because each baby’s condition is unique. After they reach a diagnosis, physicians and nurses will develop a treatment plan that includes medication and feeding schedules. Some babies may be too sick or too small to eat on their own. Others may need extra high-calorie diets because they are growing so rapidly. Babies in the NICU often need to be kept warm, so your baby may have a radiant heater over his or her bed. Your baby may also be placed in an isolette, which is a small, enclosed bed with temperature control. As you visit your baby each day, you'll talk most often with the NICU nurses to check your child's progress, or to find out about latest developments and customized treatment plans. We allow only two people at a time to visit at the baby's bedside. Visitors must be accompanied by a parent or support person wearing the infant’s matching wristband. For the safety of our patients, we ask that you remain at the bedside of your infant in the NICU. Your input is important to your baby’s care plan. Please join the staff every Wednesday at 2 p.m. for Care Team rounds at your baby’s bedside. Manatee Memorial Hospital NICU phone number for parents: 941-745-7455.